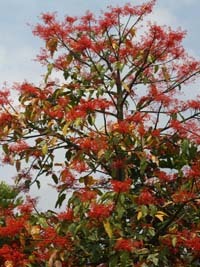 Brachychiton acerifolius is considered by many one of the most beautiful flowering trees in the world. 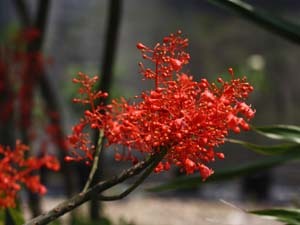 The flowers are small but they are produce by the thousands illuminating the entire tree red. 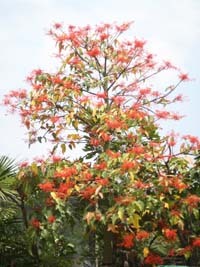 It blooms in the late spring/summer on leafless branches. A tall deciduous tree from Australia. Some of its requirements are full sun, and a soil with good drainage. It is drought tolerant once established. 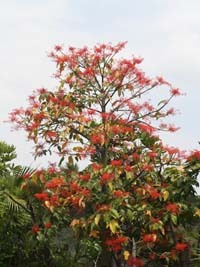 It grows well in tropical areas and can even handle freezes for short periods of time.